Liberals can’t get enough of Islamicizing America for all the benefits it bestows on us. The Democratic Party just don’t give up so easy in their efforts to bring America down. So after 8 years under the leadership of a man who had not American interest in his heart or in his political agenda at all, Democrats are already grooming their next Obama. However, the man’s disturbing background will make you want to absolutely hurl. With all of this going on, liberals are working hard to elect the country’s first Muslim governor. Dr. Abdul el-Sayed, the former health director for the city of Detroit, who has recently thrown his hat in the race for governor of Michigan. His platform focuses on making Michigan a sanctuary state and increasing the influx of Muslim refugees from countries such as Syria, Iran, Afghanistan, and others. Though the election of a Muslim governor does not necessarily mean Sharia Law will rule the streets of Michigan, the election of any individual supported by groups such as CAIR is cause for concern. A man who stands against principles of free speech, national security, and the rule of law has no place in state government. I wonder, why are the Democrats so intent on destroying America? “He’s very well packaged. He’s far more accomplished than Barack Obama. Obama was not this accomplished, they connected him to certain foundations and his candidacy took off,” Manasseri added. 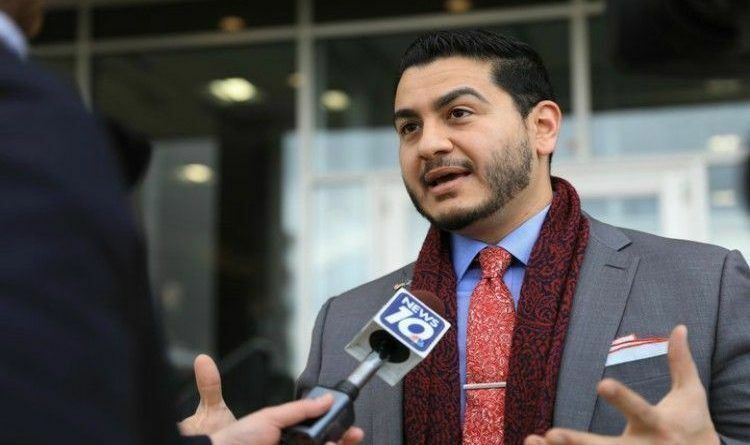 According to PJ Media, El-Sayed was vice-president of the Muslim Brotherhood front-group Muslim Students Association (MSA) during his time at the University of Michigan. Disturbingly, several sources allege that El-Sayed’s campaign is funded by billionaire globalist George Soros and that he is being groomed to eventually become President of the United States. It appears Abdul El-Sayed’s father-in-law is a board member on CAIR, the institution that regularly works to overthrow our laws. He is also close allies with hated activist Linda Sarsour, who supports Sharia law and defends terrorists. That’s some pretty bad news. For the left to throw so much weight behind a man with a sketchy past, it shows how out-of-touch they are. It also shows how desperate they are, if they are backing a man that simply cannot win. This is definitely the time for all Michigan residents to stand up for our country’s principles, and not vote for el-Sayed as their governor….before it’s too late!! !